Get freedom, flexibility… and the opportunity to uplift others while making bank! 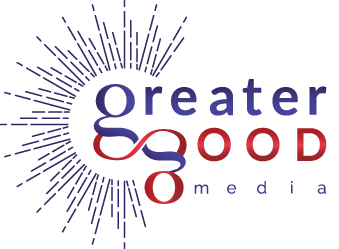 We are an established and growing, good-news-only media company based in downtown White River Jct. that offers its team members the opportunity to uplift others while creating their own hours and income. We’re looking to find an upbeat and motivated person to join our team; one who is excited to make new friends and inspire others and get paid to do so! The Position: We’re looking for what is traditionally known as a Media Sales representative, but what we really want is a Community Collaborator. In all seriousness, sales can feel pushy and off-putting. We are not about that. We want someone who wants to create real partnering opportunities with local business owners and decision makers. The requirements are simple yet incredibly important: 1. You have to be energized by and LOVE engaging with people; 2. You must be motivated and be able to think creatively on your feet and have a real gift for meaningful and productive gab. The pay range we’re offering is based on commission with a ton of room to grow! We offer the right person complete flexibility: make your own hours and work from your Upper Valley home or in our fabulous office in the new Co-Working Space building in downtown WRJ or a combo of both. We also provide the materials, tools and training to make this experience super fun for you, for us and for our clients/advertising partners. The Location: Downtown WRJ is bustling and full of wildly interesting people from all walks of life – lifelong locals, transient theater people, cartoonists, engineers and seemingly everything in between. Fabulous food, local arts and artisans, public transportation and close to everything… the ideal hub from which to launch your day. Please contact us ASAP as we are excited to possibly bring you on as our next team member. Email your resume and a true story about yourself to Jen MacMillen at: publisher@villagegreenpublishing.com.